What is public space in African? Does it exist as we may presume? At the current, we are analysing and comparing urban life and presumed public spaces in selected segments of four African cities to map what we know about these cities. It is a first step in deepening cross-cultural understanding: An exiting start of a new exiting scientific journey along Dakar in Senegal, Dar es Salaam in Tanzania, Maputo in Mozambique, and Lusaka in Zambia. According to the UN (2010) its rate of urbanisation soared from 15 % in 1960 to 40% in 2010, and is projected to reach 60% in 2050. Urban populations in Africa are expected to triple in the next fifty years. It heavily on public life, public space and its design. 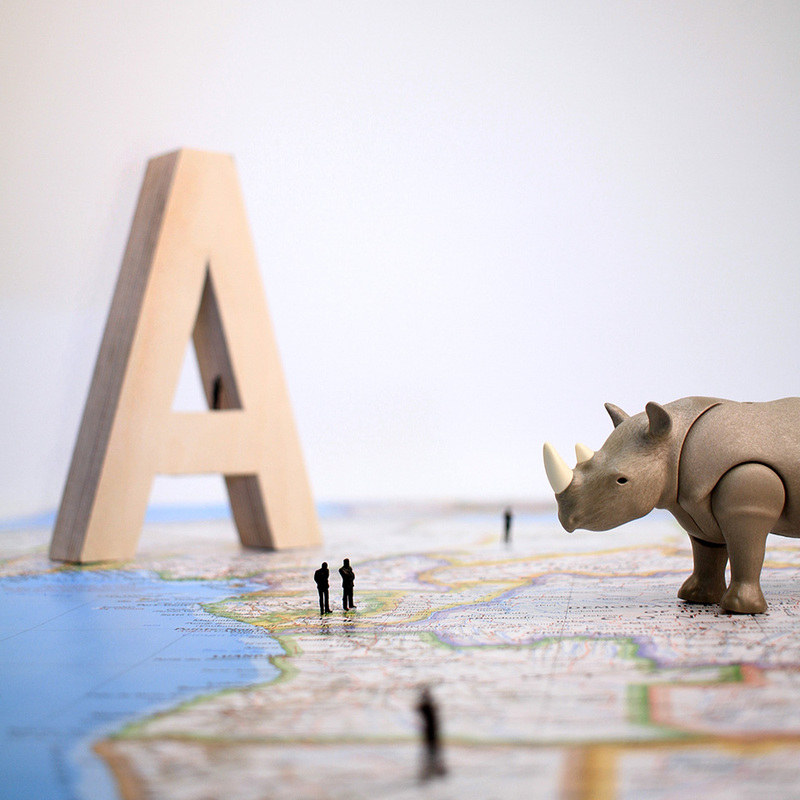 Under our ‘A for Africa’ umbrella, we discover that we are not alone. We collaboratively study the changes, yet each from a different point of departure and with an eye on other aspects of the same problem. We study the public space! At this stage, we do so with in the construct of the Honours Programme Master Architecture and the Built Environment (HPM). On-distance and phenomenologically, we can witness how African cities have become breeding places for a new kind of middle class. Newcomers find a home in one of the African cities and start small businesses, which allows them to become urban citizens and afford their place in urban civic life, emerging amidst its booming urban development with shiny office blocks and vibrant trade centres. In fact, every citizen in these cities faces transforming realities and acquires changed social and spatial positions. As cities have always been places to gather and exchange, all these people move to their urban cores to have access to that lifestyle. Outdoor public life exists between car-drivers stuck in traffic yams or commuters waiting for their busses. Other urban spaces, unable to catch-up with the speed of urbanisation, may still mirror traditional lifestyle and struggle with social conflicts. Quality of life, health and well-being are at stake in a way similar to any other place undergoing urbanisation. A simple and quick solution may be to adopt lessons learned elsewhere, particularly regarding their public space – the core of our interest. Yet, although, we have our ‘Western’ catalogue of best practices used to tackle similar problems, applying the conventional exemplars would be too simplistic! It may bring Africa urban spaces to resemble those of New York, Amsterdam, or Barcelona. Such spaces might not be capable of coping with local challenges. Different socio-spatial settings and distinctive culture of each city ask for specific and thus novel answers. In its origin ‘public’ space should be considered as a Greco-Roman construct, rooted in Indo-European cultures and cities, predominantly evolved and spread in Europe and America. Colonial histories throughout Africa give reason to discuss ‘public’ space on the growing continent too, while understanding common, communal, shared human space in their localities and natures too. 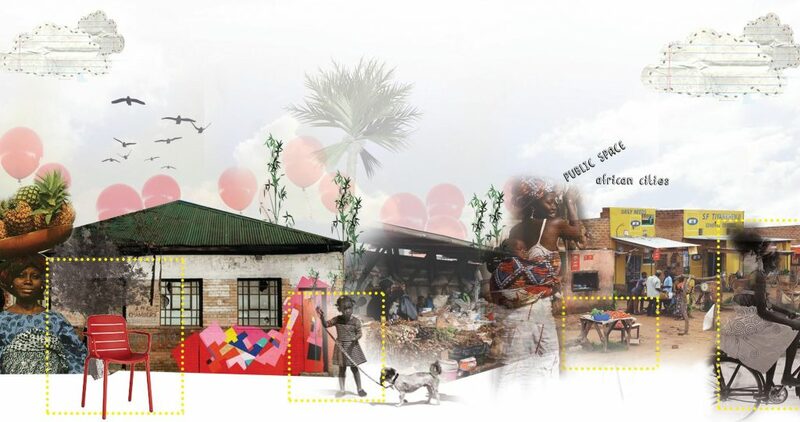 Our project aims to highlight the contrastive difference in (1) the term ‘public space’ as manifested in African urban life and shaped wihin their cities, represented by local forms and (2) the associated specific, fixed concepts, notions and morphological patterns as manifested in our spheres. As a result of this pioneering research, we hope that the established differences will help us to fill part of the knowledge gap, or at least expand our horizons. Working on the research develops our understanding of contemporary changes influencing the profile of the African metropolitan regions, and thus it challenges us to rethink the notion of African public space. In order to substantiate this, we have been exploring four African cities; Dakar in Senegal, Dar es Salaam in Tanzania, Maputo in Mozambique, and Lusaka in Zambia. Currently, we are analysing and comparing urban life and presumed public spaces in selected segments of those cities. Each case is intentionally different regarding its settings and cultural background, moreover each city was influenced by various European colonial powers. The wide range of external influences on the African continent fits the bigger picture of specificity. In a critical Late-Modern Benevolian manner (1987), we started in September from the premise that African indigenous aesthetics and conceptions of form and use remain present, while merging with the changes brought on by colonisation, industrialisation, and ongoing modernisation. By the same token we already see that the influences in each of these contexts diversify, prominently enough to unfold allow differences in the results. It is still difficult to presume there is such a thing as African public spaces. Still, the common denominator of the four case studies lies upon a shared epistemological research question focusing on what do we know about urban life in African cities today, especially the placement of public space in Africa, the social behavioural patterns, and the urban fabric and local perception of public space. Four of us share theoretical lenses to gain knowledge on these African public spaces as a cross-cultural notions and as socio-spatial phenomena. We confront findings with the ‘conventional’ public space and public life studies, and we flirt with typo-morphology to unfold space analytically, and use environmental psychology to understand public, common, communal, shared life. In this way, methods and approaches are synchronised where possible, but the knowledge question always comes first. At the moment, we’re first and foremost extremely excited what the outcome will be. African public space? Collages and axos by HPM students. Top row: Evangelia Georgiali. Elements of the public spaces in Lusaka. Photos retrieved from De Nooijer, J.M. (2009) The Urban Hospital in the Public Realm, and Google street view. Left column: Evangelia Georgiali. Appropriated in-between public space in Lusaka, Zambia. Axonometries: Aikaterina Myseri. Types of public spaces in Dakar, Senegal. We hope that our research will raise awareness on the necessity to study ‘public’ spaces on the African continent, as well as to value the designer’s ethical responsibility to safeguard liveability in the African cities, not as an alien creation, but as a design stemming from the familiar schemes. We hope to join forces – fresh thoughts and new people are always welcome. To facilitate this, we are planning a small public peer-review in February. At the end of the academic year, some of the first outcomes will be presented at the annual HPM Expo. In the meantime, we will be developing our research further. In practice, knowledge helps to engage policy makers, planners, designers and engineers to harness urbanisation for social-sustainability and inclusive growth. And above all, the African growth. This entry was posted in appropriation, common, common space, cross-cultural exchange, culture of the city, habitat, health, human, human design, human space, knowledge, people, perception, place, public space, research, social behaviour, society, standard of living, standards of life, typology, urban design, urban fabric, urban life, urban space and tagged appropriation, behaviour, common, common space, communal space, community, cross-cultural exchange, culture of the city, Dakar, Dar es Salaam, epistemology, habitat, health, human, human design, human space, knowledge, liveability, Lusaka, Maputo, Mozambique, people, perception, place, public realm, public space, research, Senegal, shared space, social behaviour, social sustainability, society, socio-spatial transformation, standard of living, standards of life, Tanzania, typology, urban design, urban fabric, urban growth, urban life, urban space, Zambia by Maurice Harteveld. Bookmark the permalink.